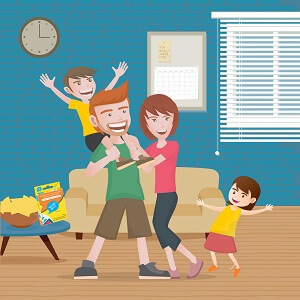 Family Fun Game: The Classic Game of Intelligent Moves! 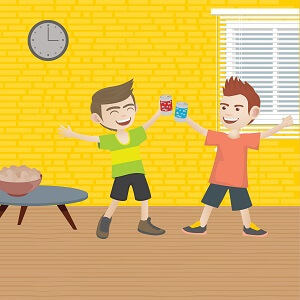 WordHoo game has 2 types of cards – letter cards and ZAP cards. To start the game, shuffle and distribute 7 cards to each player. Players may get all letter cards or mix of letter and ZAP cards. You make words (minimum 3 letters – proper nouns, plurals, abbreviations, informal words are not allowed) using cards in hand and discard word forming cards. If you make a word scoring 10+ points, all other players reward you by drawing one card each from the draw pile. However, if you make an incorrect word, you need to draw 2 extra cards as penalty. In case you can’t make a word in your turn, you need to pick a card from the draw pile. If you also have ZAP cards in hand, you can use them strategically to strengthen your position or weaken opponent’s position. The first player to get rid of all cards in hand wins a round and points for the cards your opponents are left holding are counted and noted. The game is set of rounds. WordHoo has 2 difficulty levels – one for young kids and one for grown-ups & adults. 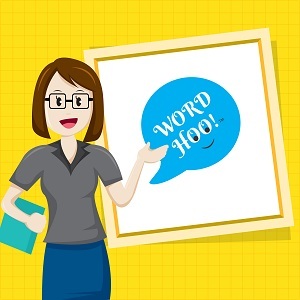 WordHoo is super fun – a phenomenal game like none other. Make words using card(s) in the grid, be quick to spot and shout them out loud before the opponent does. Win the battle by collecting word forming card(s) to score more points than your opponent. Make sure that your opponent doesn’t see the card(s) before flipping over completely. This combat can lead to a healthy battle and some memorable pleasant friendly banters. 120 seconds and three lifelines is what to have. Think and act fast to make as many words as possible using card(s) in the ‘Play Row’. Intelligence and decision-making skills are at play – analyze disjoint card(s), retrieve information from memory and choose a right lifeline at a right time. The highest score we have seen so far is 116 (by an adult). What’s your score? Crystallized Intelligence: Ability to quickly access information from long term memory, use skills, knowledge and experience to reason with words and/or numbers. 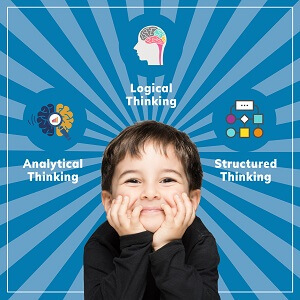 In addition to improving vocabulary, the game subconsciously augments three key skills; Analytical, Logical and Structured Thinking. What are the pros and cons of picking a known card as against taking a chance with an unknown card? Should I go defensive and minimize points in hand or play aggressive to win (at a potential risk getting caught with high point cards in hand)? Should I use a ZAP card now or would using it later in game be more advantageous? Should I discard a word in hand or should I play ‘2 TURNS’ or ‘REPLACE’ card and increase my chances of winning? Do I have any prefixes and suffixes in hand? Do I have vowels to use the prefixes/suffixes? If I don’t, which vowels should I look for that will increase possibilities of forming words? If I need letter ‘M’ to complete a word, how many ‘M’ cards does this game has and what are the possibilities getting one? What are the unwanted cards in hand and which one should I get rid of first? 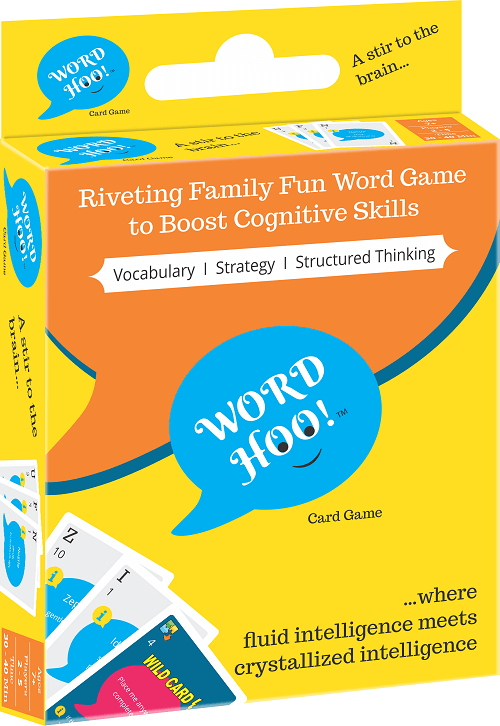 WordHoo is a fun on-the-go word game that requires no board or any special set-up. Every game of WordHoo is a new challenge, which ensures players engagement and makes the game a highly repetitive activity. A perfect companion for your travels and weekend outings. WordHoo is highly recommended by teachers and played in schools like Cathedral & John Connon School, Mumbai (ranked 3rd best school in Mumbai by Hindustan Times, Sept. 2017). 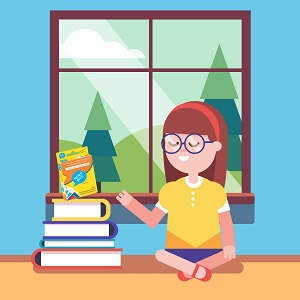 The game of word building skills, spellings, vocabulary, strategy and intelligence keeps kids entertained, engaged and enables learning at the same time. 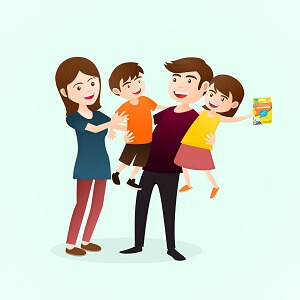 WordHoo has become a game of choice among children, parents, teachers and schools. Our goal with WordHoo! was to invent a game that is not only easy to learn and fun to play but also challenges our brain and helps us learn while we play. The result; an educational card game that is fun, connects fluid intelligence with crystallized intelligence and boosts cognitive skills.